Ordained as a Presbyterian minister in 1972, Rev. 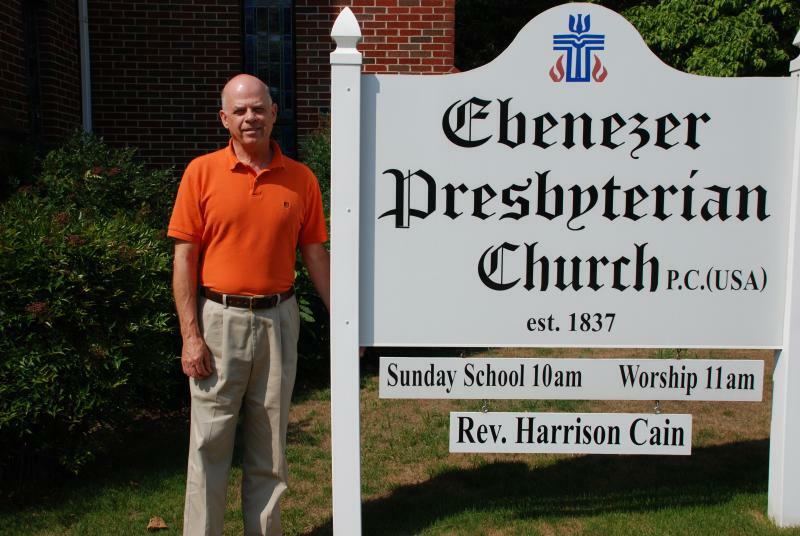 S. Harrison Cain (Harry) has served 3 congregations (one for 22 years) as a permanent minister, 4 congregations (Ebenezer in 2002) as an interim minister, and numerous other congregations as a supply minister. In 2009 he became the Stated Supply minister for Ebenezer Presbyterian. He has a B.A. degree from Erskine College in music, a M.Div. degree from Erskine Seminary in theology/ministry and a Th.M. degree from Columbia Seminary in pastoral counseling. Rev. Cain also has many years of clinical training in hospitals and counseling centers. Rev. Cain and his wife, Susan, have 3 children and 5 grandchildren. He enjoys all types of music, photography and travel.